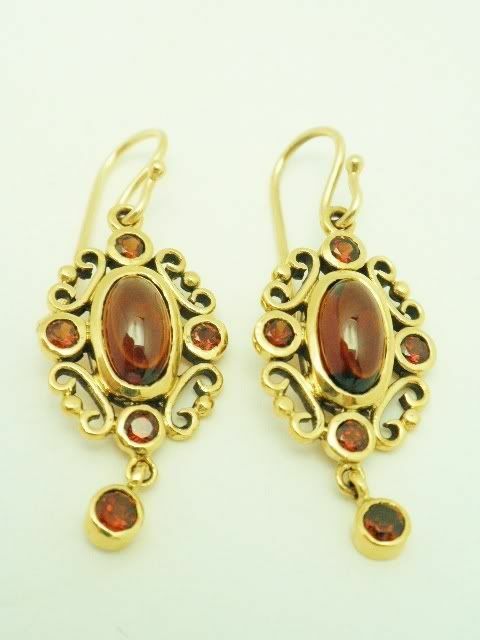 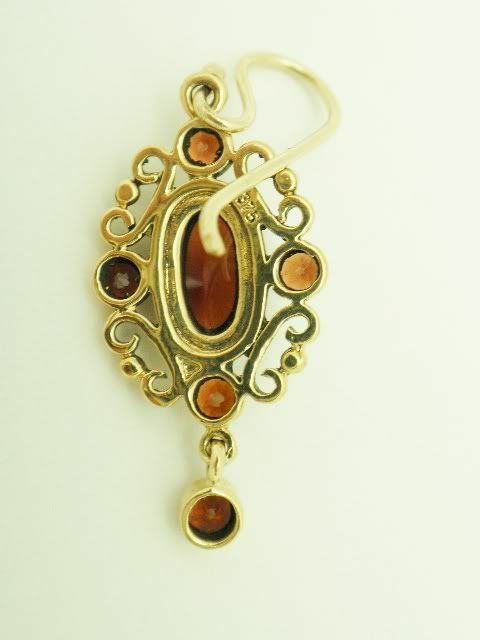 English 10K yellow gold Cabochon garnet earrings. 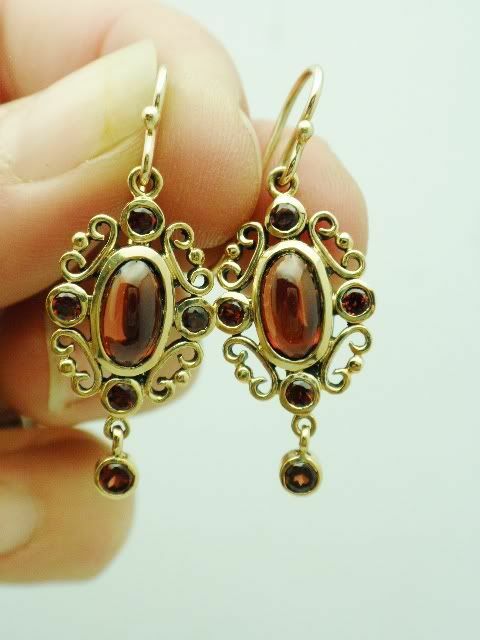 The earrings wire to drop measure 1 1/2" long by 5/8" wide and weigh 5.5 grams gold. 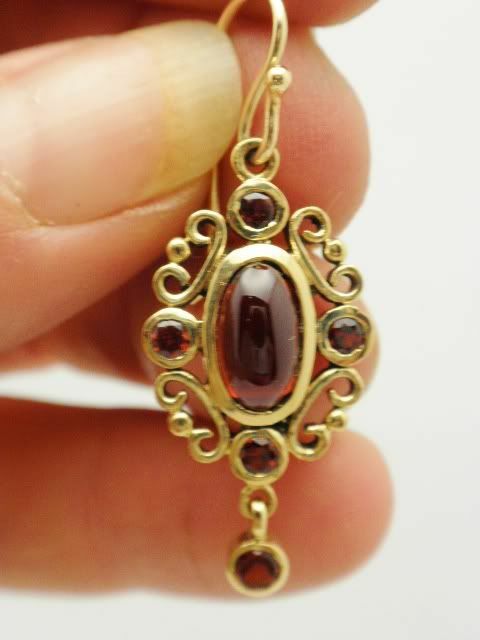 The oval is set with genuine cabochon garnet framed by 4 garnets and drop off lower. 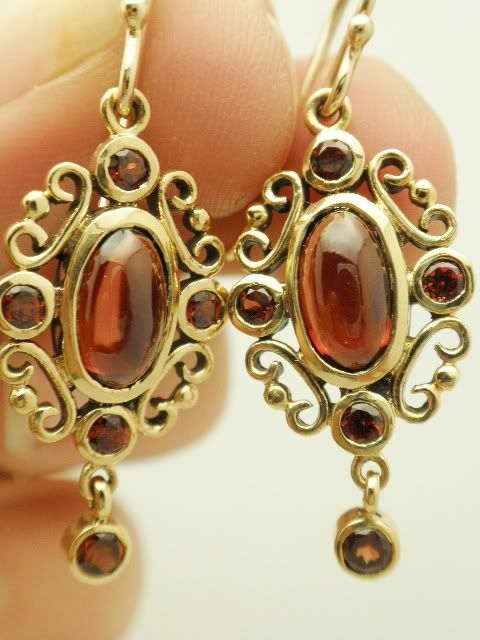 The earrings are French backs.While appearing antique these are a vintage copy of Georgian earrings.